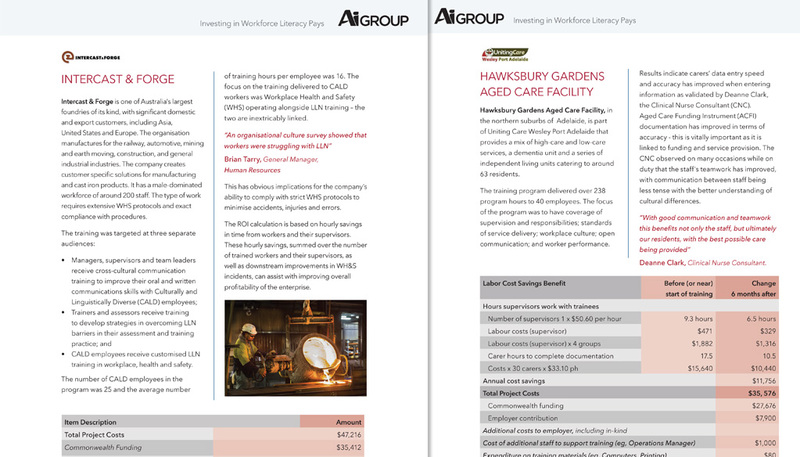 Australian Industry Group (AI Group) provides comprehensive advice and support to assist members to run their businesses more effectively through information, services and training. Hopping Mad is responsible for the design and production of many of the AI Group’s reports, flyers and brochures for members. The collateral is produced within existing style guidelines, with prompt turnaround times.